Some 10,000 Copts march against the decision taken by the governor of Minya, southern Egypt, to demolish a five-storey building used a centre for the disabled. Shouting “Go, go after your master, [Mubarak],” they call for his resignation. 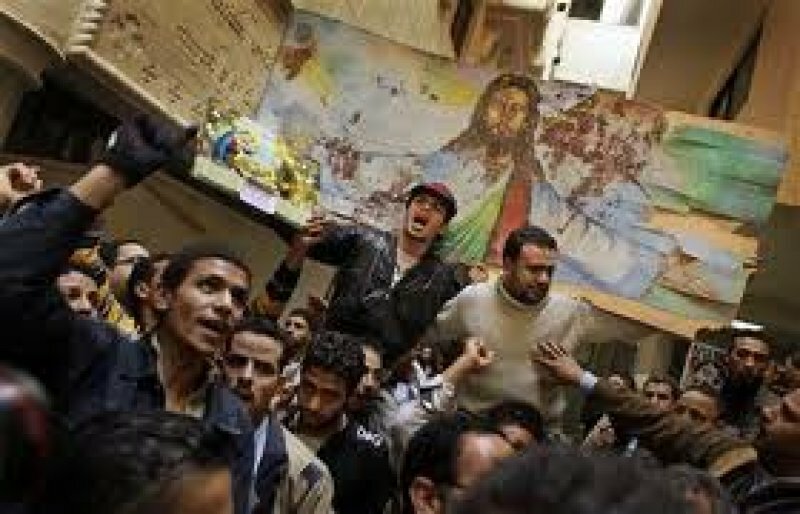 Cairo (AsiaNews/Agencies) – More than 10,000 Copts in Minya Governorate, 250 kilometres south of Cairo, took to the streets to demand the resignation of the local governor, Ahmed Dia-el-Din, after he ordered the demolition of Church-run welfare centre for the disabled in the village of Deir Barsha. Demonstrators from Deir Barsha and Deir Heness marched through the streets shouting slogans against the governor: “Go, go after your master [Mubarak]" and "We stopped giving bribes, so now you want to demolish the centre." At the end of the demonstration, more than 200 Copts refused to leave the centre for the disabled, staging a non-stop sit-in until the demolition order is revoked. The five-storey building belongs to the Coptic diocese of Mallawi and provides services to the elderly and children from 75 villages in Minya Governorate. 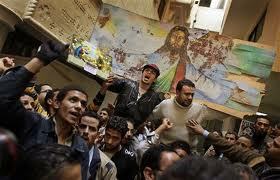 The governor wanted to demolish the building in January 2011, but was prevented by Coptic anger and demonstrations all over Egypt after the massacre of the Two Saints Church in Alexandria on New Year's Eve. The building slated for demolition “was inaugurated by the governor himself four years ago and all licenses and papers are fully correct. Suddenly he wants to demolish it,” one of the demonstrators said.